It’s closing in on three years since the controversial launch of No Man’s Sky. At this point, it’s hardly necessary to run through what players expected and why they were disappointed, but a substantial selection of free updates in the years since have changed the narrative. 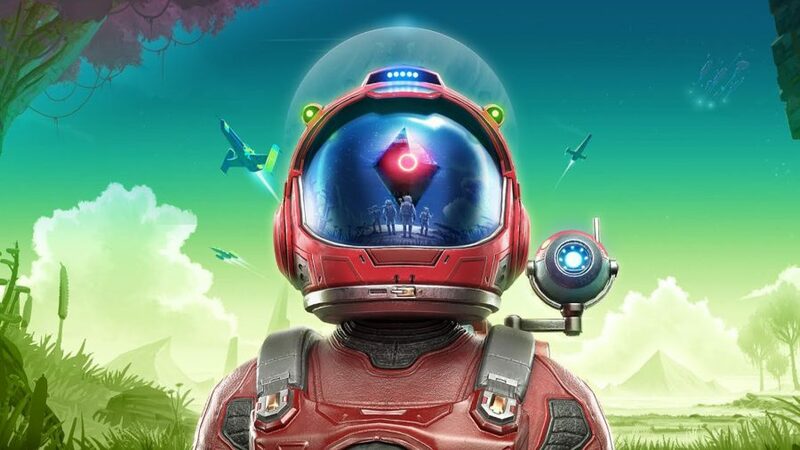 It’s even become safe enough for Hello Games to end its effective media blackout, and as I meet with director Sean Murray for a demonstration of the next big addition, he’s every bit as affable as he seemed leading up to the game’s original release. 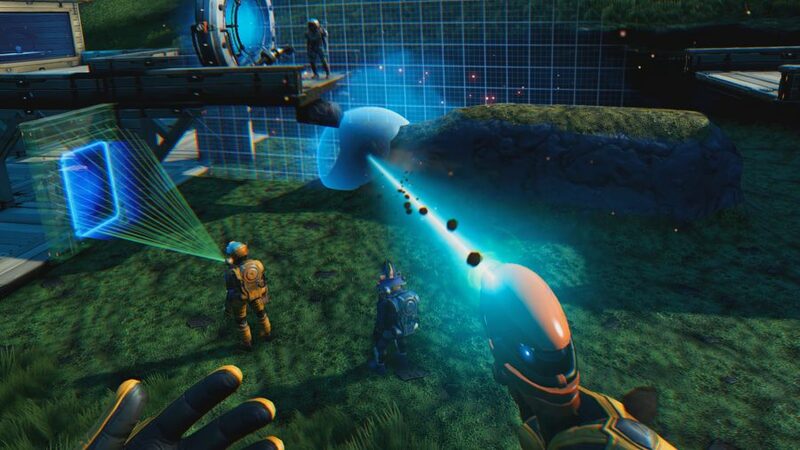 The next big set of updates is called No Man’s Sky: Beyond. After a massive expansion of the game’s online features, the second stage of Beyond will bring VR support to the game. As the developers explained in the original announcement, it’s not just a side mode – it’s the whole game, fully playable in VR. Certainly, there are a contingent of players hungry for more long-form VR content, but as exciting as VR’s possibilities have been, it hasn’t been the most robust or predictable market. As Murray and the Hello Games team get me into a Vive headset to see No Man’s Sky VR for myself, it works exactly as advertised. 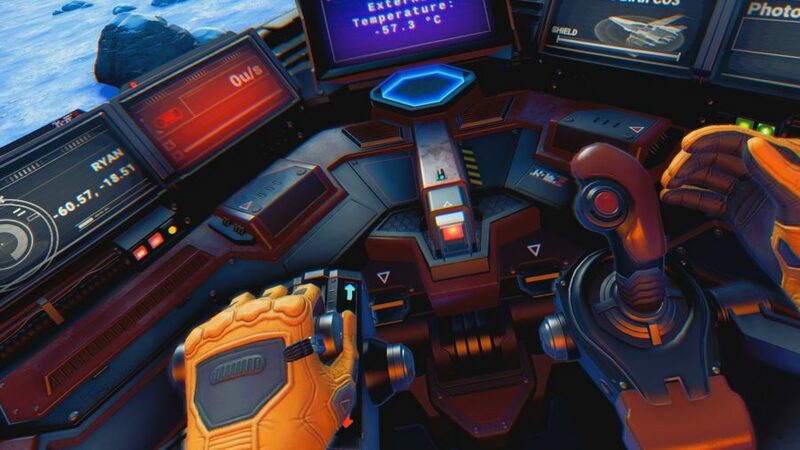 After getting settled on a planet with a small base to explore, I’m able to turn left and right with the snap-turning system, and move around using a short-range teleport feature, and Murray says there are plenty of familiar VR comfort settings to customise. In a mechanical sense, it all feels good. Getting around the environment works. The inventory system works. Pointing the scanner and construction tool works. It’s a little too trite to say that VR adds a sense of scale, but the new perspective in No Man’s Sky builds on the game’s existing scope. You can walk through open fields, into hand-built bases, and through pitch-black caverns. You can hop into your ship, put your hands on the throttle and stick, and blast into space. You can navigate asteroid fields, fire your hyperdrive, and land on a space station filled with alien inhabitants for you to awkwardly gawk at. Seeing this all happen seamlessly, without interruptions, feels grand in virtual reality. Where many other VR games (with rare, excellent exceptions) have felt limited, the grandness inherent to No Man’s Sky rips those limitations apart. From the start, the game has been at its best as a chance to simply exist in other worlds, and for my money VR is the same way. In that sense, No Man’s Sky is the perfect VR game though, admittedly, the roughly 15-minute demo I got was hardly enough to determine if that symbiosis would still feel impressive after hours in a headset. The bulk of the early audience was on PlayStation, but the PC players were driving the tone of the conversation around the game. “The PC audience is more connected,” Murray says. “That’s more of where your community is, in terms of your vocal community.